Suzaku Lace: 2011 Here I Come! I don't know why but I am very enthusiastic about 2011. It could be that 2010 was all about learning the ropes and roles in life. I won't say that I am an expert though. 2010 taught me the value of time even more especially now I am a mom to my baby boy Ashton. I've been rallying myself to FOCUS, it's very easy to be sidetracked by a lot of things. In 2010, I've been mostly distracted so much by blogging and it's social circle. It is fun but like in my previous post, I could be more productive at home. Another thing most of us are concerned with, even subconsciously is how others would perceive us. How we want to please everyone and in the end, we leave our goals hanging in the air. I think this is a common trait of Filipinos but I've been encountering people (during my travels) who know what they want, and they just go get it. Even people who play Online Casino know how focus can win them a million. Not that we should become selfish, I am sure there are times when we thought of others and changed our plans because of them, only for those people to disappoint us. In the end, they also thought of themselves first and went ahead with their own plans. Then there's how we should all learn to say no, and say what we want to say - directly. This is equally important in business and in saving us a lot of time. 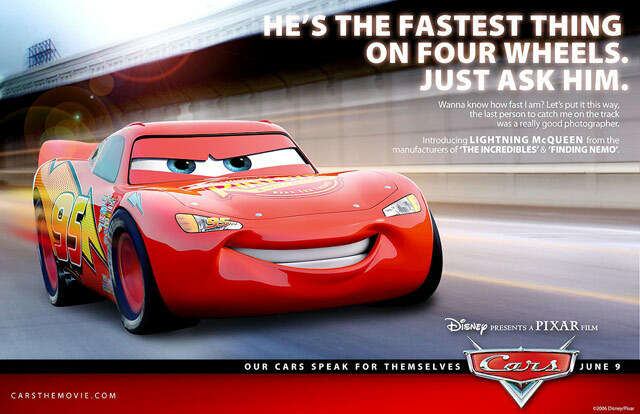 So, Lightning McQueen - like him if we focus and try to go fast, we could all win our game this 2011. Kachika!